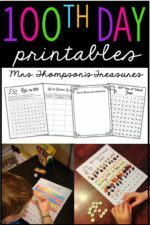 Do you read about Uncle Wolfie on the 100th Day of School? 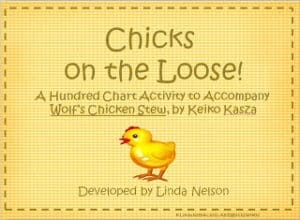 Don’t miss The Wolf’s Chicken Stew by Keiko Kasza, a terrific little book that will help your students think a bit differently about the predictable villain in stories. You don’t want to miss this one! After you read about Uncle Wolfie, here’s an activity to do with your kiddos. They’ll have lots of fun searching for one hundred paper chicks hidden in your classroom, and then assembling them on the floor as a huge hundred chart. 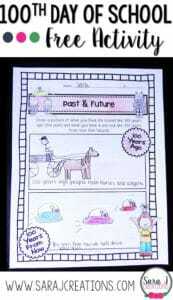 There’s even a page for your students to do a bit of writing about the fun. I hope you’ll enjoy this as much as we did! Chicks on the Loose for the 100th Day!